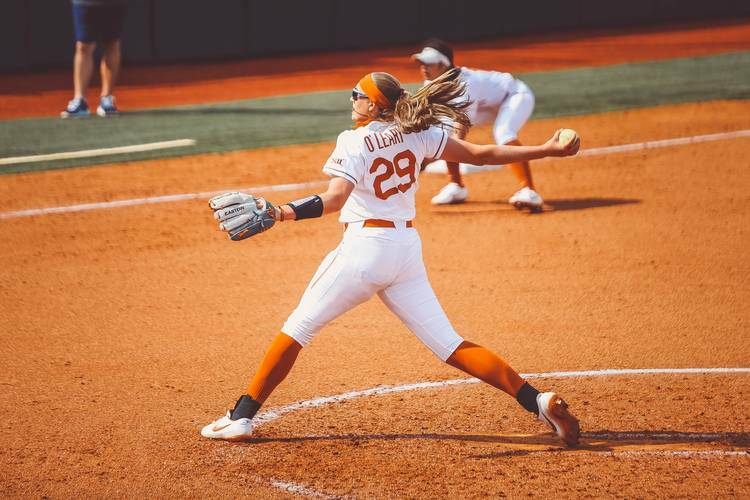 Shealyn O’Leary had another great day in the circle as the Texas softball team defeated Iowa State 6-1 at McCombs Field on Saturday afternoon. O’Leary moved to 10-0, a new high mark for a freshman to start her career at Texas. She gave up one run on five hits in the complete game. Kaitlyn Washington led the offense for the Longhorns, going 2-for-2 with a double and a home run on the way to driving in three runs. She also scored twice. Bekah Alcozer hit a home run for Texas. Lauren Burke also had an extra-base hit as she doubled and scored for the Longhorns. 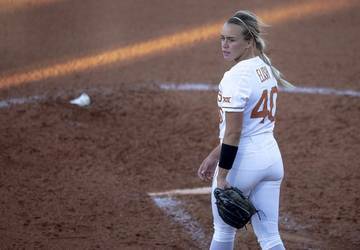 Texas (28-6, 2-0 Big 12) fell behind 1-0 on an RBI double by Taylor Nearad in the second inning but responded an inning later. Washington’s homer in the third tied the game, and a five-run fifth put the Longhorns over the top. Texas goes for the series sweep against Iowa St. Sunday at noon.